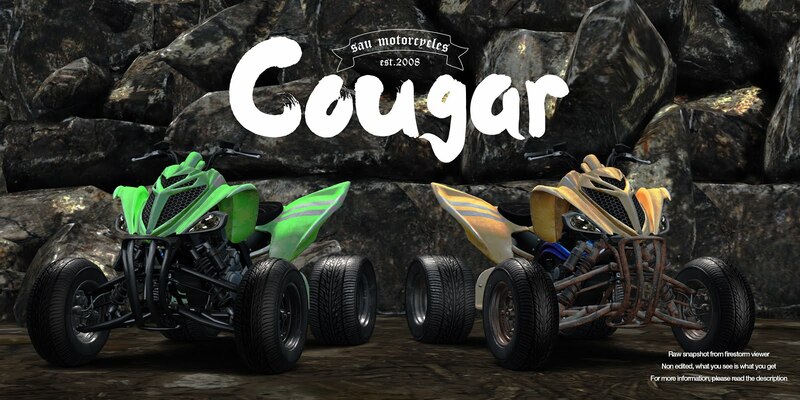 [sau]Cougar is a Full version, flagship grade product debut in TMD Apr 2019 with special discounts. 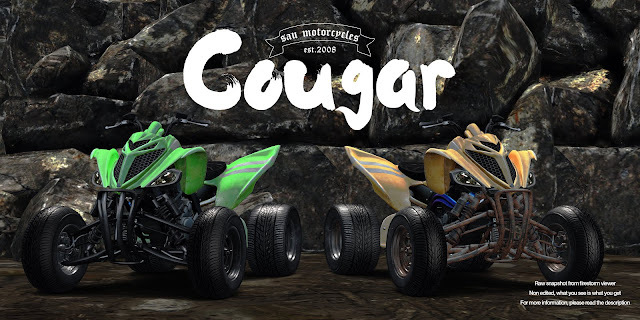 If you are new to [sau]motorcycles or ATVs in second life, This is a no-brainer for your biker life. -10 Paint jobs ! All in One!